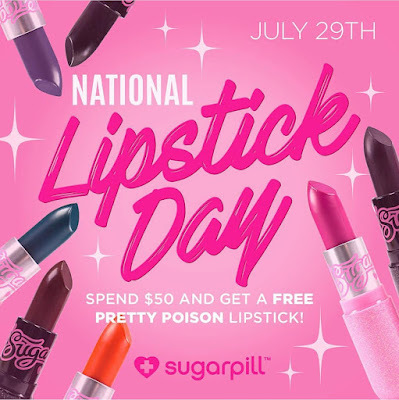 National Lipstick Day 2018 Deals & Steals! Mix and match any lip gloss ($16 value), lipstick ($18 value) and liquid lipstick ($20 value) this includes the new shade Violet but unfortunately excludes the new lip glosses that just recently launched. 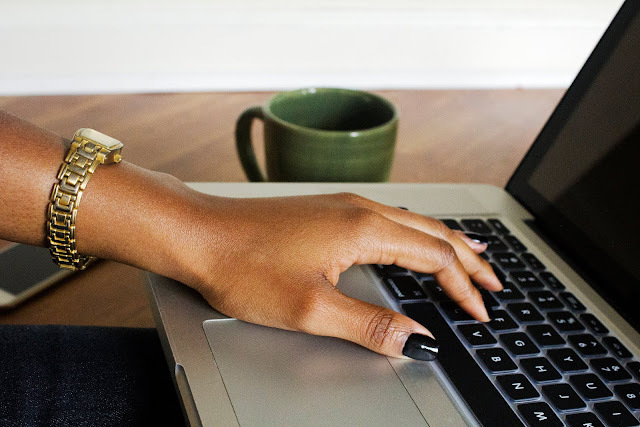 Standard shipping is free but if you want 2-day shipping you'll have to spend $6. Otherwise, you can always shop this same deal this week at Sephora starting today. All lippies on sale starting at $7. No code needed. Expect another surprise at 1pm ET on 7/29. Sorry, my affiliate code does not apply. Now through Sunday, get a FREE lip pencil to match with any Lip Lab appointment. Available at all locations. B1G1 FREE on all satin and matte Lip Potion singles (bundles and Love Dust excluded). Use code LIPSTICKDAY. 7/29 only. 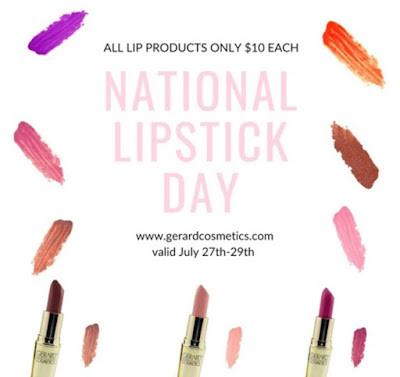 50% off site-wide with code lipstickday. 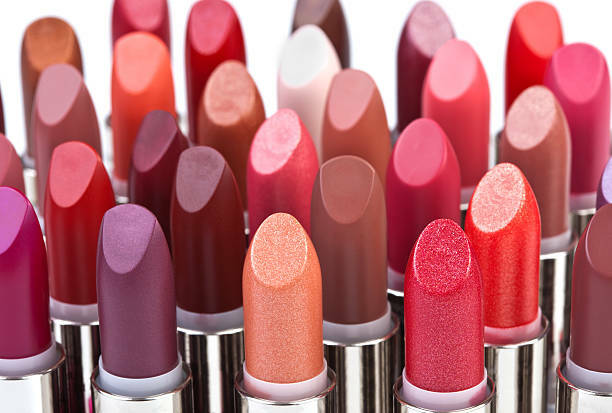 FREE lipstick with every purchase. Ends 7/29. No additional discounts allowed. Ends Monday 7/30 at 9am PST. 50% off all lip products. Use code Friday50. Ends 7/28. 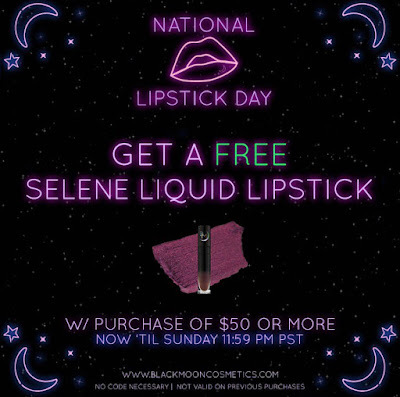 FREE lipstick with code freelipstick. No purchase necessary. 7/29 only. FREE mini Studded Kiss crème lipstick in Double Dare with every order. Use code LIPSTICKDAY. 7/28-7/29. No minimum purchase required. FREE Full Size Lipstick on Order $65+. Your Choice of Madison Ave Pink (use code: MADISON) or Lexington Ave Coral (use code: LEXINGTON). 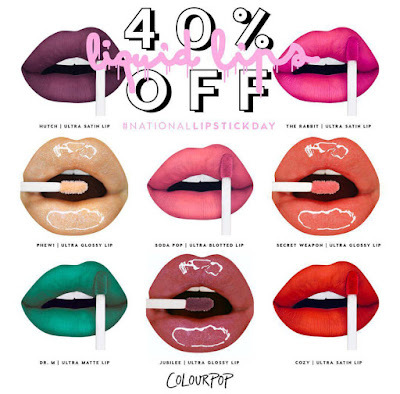 40% off all lipsticks. Use code WeLoveLipstick. Ends Monday. This promo will be available at all MAC counters and stores in the US and Canada on Sunday, July 29th. No purchase is necessary. Otherwise, skip the line and spend $25 ($30 in Canada) online to earn this freebie as well. FREE lipstick on $45+ orders. 7/29 only. This Sunday, 7/29, be one of the first 50 people in line at any NYX store and you'll get a FREE lipstick. Otherwise, if you buy 2 lippies, you'll get one FREE. This offer is available online (use code YAYLIPPIES) and in-store through 7/30. 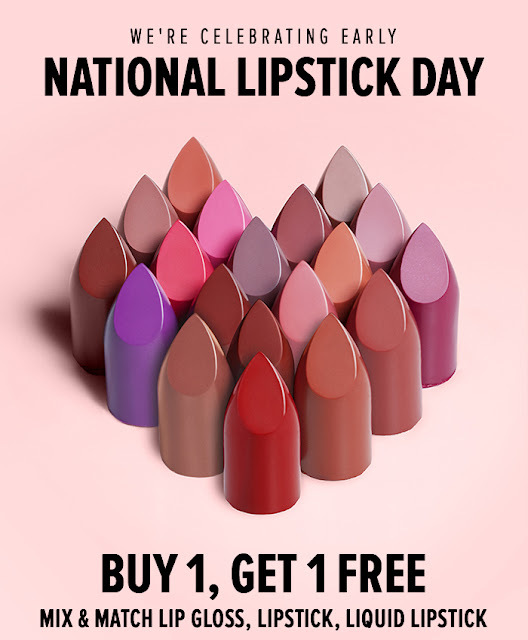 BOGO FREE Stila All Day Liquid Lipsticks. 25% off select lip products. Over 50 offers from top brands! 7/29 only. In-store and online. 2 for $30 Smashbox Always On Liquid Matte or Metallic. FREE MAC lipstick with $25 online purchase. 3 for $12 select NYX lipsticks. 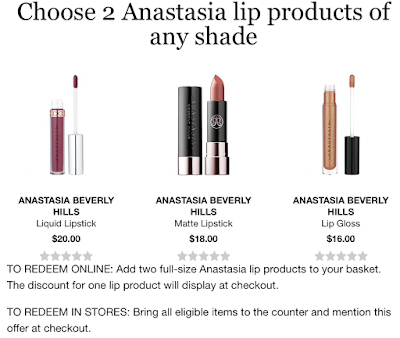 B1G1 50% off on all ABH lipsticks. B1G1 FREE on select Too Faced lipsticks.